Hello friends! I have just a quick post to share with you today...a tribute to the beautiful colors of fall. Sadly, the colors of fall are quickly fading. Almost all the leaves on our big sugar maple tree have fallen. Soon the reds, oranges, yellows, and green will turn to brown and maybe white as snow begins to fall. 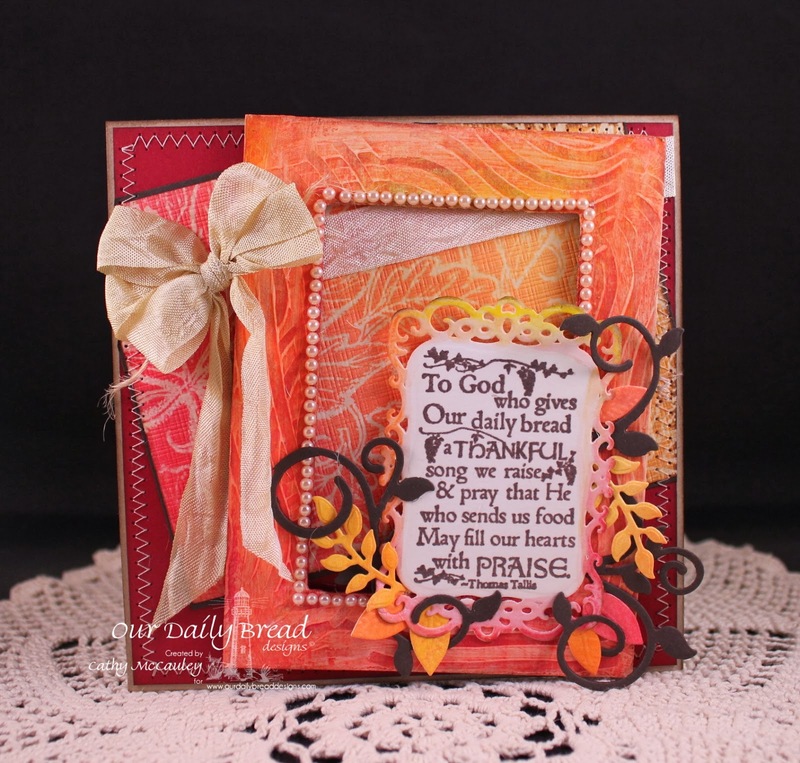 I love the colors of fall, so made two cards featuring these brilliant colors! Creative Nugget: This card was inspired by Cathy Tidwell's Many Colors card. 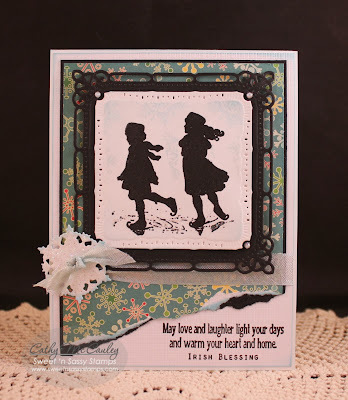 I was intrigued by the pretty pattern achieved with the pieces of the die she used, so used the same technique on my card using the Quatrefoil Pattern Die by Our Daily Bread Designs. Dylusions sprays were used on the background, and the Leaves Background was stamped over the pretty colors. 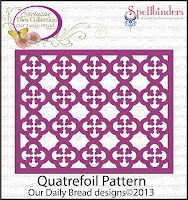 The Quatrefoil Die was cut in three different colors and pieced back together to create the pretty pattern. A few leaves from the Thankful Song stamp set were cut out of the same background to decorate the front of the card along with a sentiment tag, seam binding, and some jute. My second card used the same stamp sets as above. Creative Nugget: The chipboard frame was painted with gesso and a comb was used to create a curvy pattern. When dry, Gelatos were rubbed on and pearls placed around the opening. The Leaves Background was white embossed on a piece of mixed media paper. The Gelatos were rubbed on again and lightly wiped with a baby wipe to blend the colors. 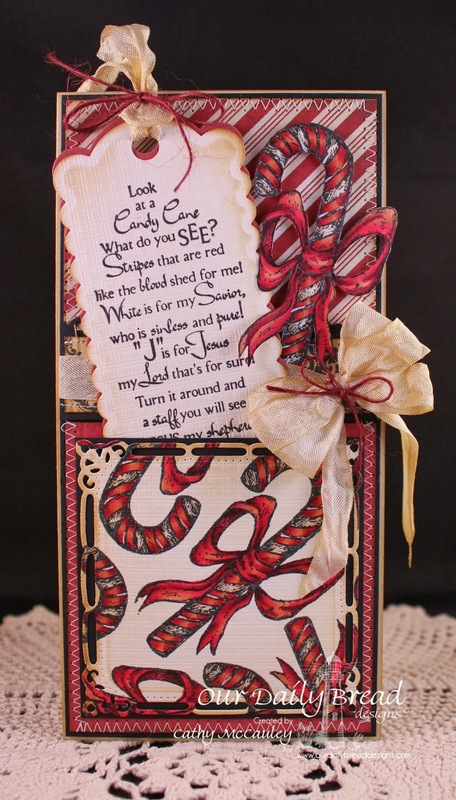 The sentiment from the Thankful Song stamp set was embossed on a SB Decorative Labels Eight Die and Fancy Foliage Dies were used to frame the sentiment. A seam binding bow was added before attaching the card front to a Kraft card base. Thanks so much for stopping by! Enjoy the last remaining days of fall splendor! 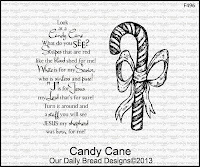 Stop back again tomorrow to see the new November Release from Our Daily Bread Designs! Hello sweet friends! This will be my last post for The Sweet Stop, as after this week's sketch, The Sweet Stop will be closing it's doors. I hope you have enjoyed participating in the weekly sketches as much as I have...this venue of weekly inspiration and the chance to work with a wonderfully supportive and talented team of designers will be greatly missed! Temperatures in our neck of the woods plunged to freezing last night, so the furnace was finally turned on and blankets piled on the beds to provide the heat needed to stay warm and cozy. Another source of warmth comes from the love of family and friends as the Irish Blessing on my card sample for this week states. 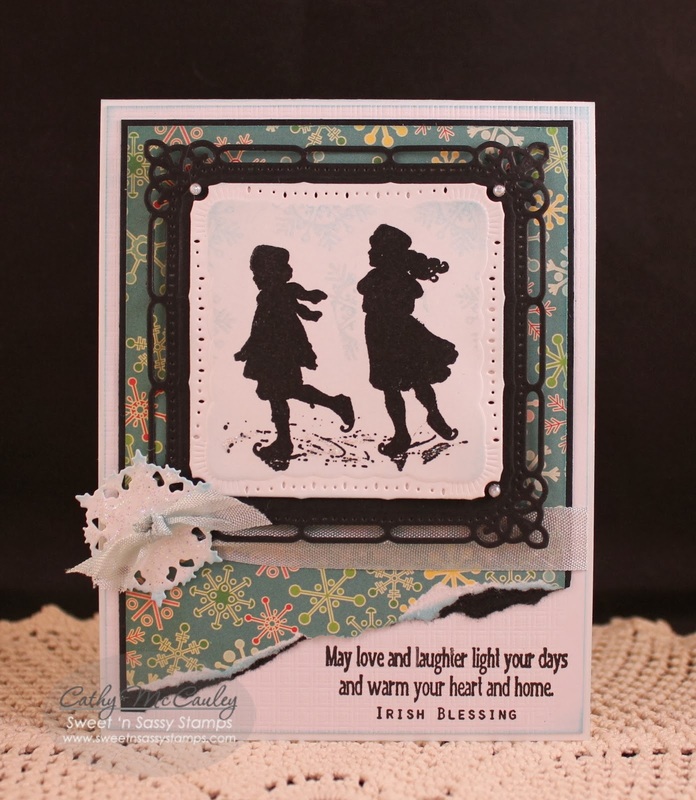 Creative Nugget: The darling image on my card is from the Winter Silhouettes stamp set designed by Dina Kowal and available at Sweet 'n Sassy Stamps. It is framed on a Spellbinders Marvelous Squares Die and mounted to some old Cosmo Cricket patterned paper found in my scrap stash. The corner was torn, making room for the sentiment. The faintly stamped snowflakes and the pretty snowflake die tied onto the card with seam binding are peeks at some fabulous new items that will be coming soon to Sweet 'n Sassy Stamps. Please take time to visit the other Sugar Babies for some beautiful inspiration for this week's sketch at The Sweet Stop. We hope you will be able to join us for one more challenge, SSS234. Let's fill this week's gallery with many gorgeous creations! 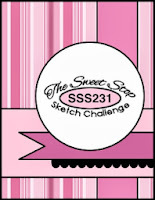 Thanks so much for stopping by and for supporting The Sweet Stop challenges! May the ultimate source of love, Jesus Christ, light your day and warm your heart and home! Hello sweet friends! The week is winding down, so I hope you're having a good one. I have just a quick card to share with you today. 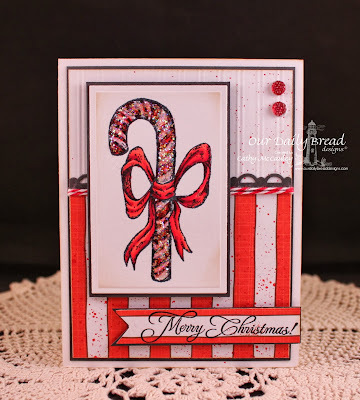 I have an incredible sweet tooth and this week Splitcoaststampers is trying to indulge me! Both the CAS Challenge on Monday AND the Ways to Use It Challenge today insist that we use candy on our card. 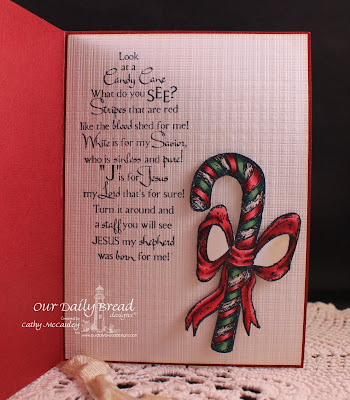 Candy Cane, just released this month at Our Daily Bread Designs, was perfect for these challenges and also helped me add another card to my Christmas stash! Creative Nugget: Stripe embossed Solar Crest and Bo Bunny striped DP matted with Smokey Shadow card stock form the front of the card. A Smokey Shadow punched border and some Baker's Twine separate the two which were mounted to a Solar Crest card base. A few splatters of Barn Door Distress Ink were added. The candy cane image was colored with Copic Markers and covered liberally with Ice Stickles. The image was cut with a Spellbinders A2 Matting Basics Die and mounted on a Smokey Shadow mat. 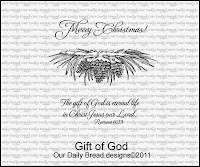 The sentiment, from The Gift of God set, was stamped on a hand cut banner and added along with some Twinkle Goosebumps to finish the card. Thanks so much for stopping by...have a very SWEET day! Happy Saturday sweet friends! It's time for a new sketch with a spin at The Sweet Stop. The beautiful colors of fall abound as it is the peak of the season for the changing leaves, so the spin is to create a fall time card or project. Of course with the spin comes a PRIZE...a $15 gift certificate to the Sweet 'n Sassy Store! Hope you can play along and help fill the gallery with pretty fall colors and themes! It has been a while since I have colored a Cocoa image, so I had to bring out Fall Time Cocoa for my card sample for this week. Creative Nugget: The background panels were created by stitching Authentique patterned papers to Early Espresso card stock with a Scalloped Border Die separating the two patterns. These were mounted to a Vintage Cream card base. The doily was perfect for the large circle on the sketch and was tinted with some distress inks. The DP circle layer was cut with a Classic Circle Nestie, and the Cocoa image, colored with Copic Markers, was cut with an Oval Nestie. A button tied with jute was added along with the sentiment. There was a Mini Mister filled with distress ink laying on my desk, so I thought I would give my card a few splatters. I groaned as the spray came out MUCH heavier than I intended, but I was not about to start over...so there you have it! A few pearls were added just because! The Sugar Babies have some fabulous inspiration for you this week. Check them out and be sure to leave a little love behind. Please join us at The Sweet Stop this week for a chance to win the prize. Thanks so much for stopping by...have a wonderful weekend! Hello friends! 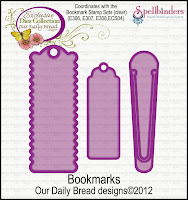 Today we are taking a look back at Our Daily Bread Designs October Release. The sets released this month are perfect for fall and Christmas creations. I chose to use one of the new Christmas sets...Candy Cane...AND, are you ready for this...brand new Designer Papers by Our Daily Bread Designs! Squeeeeee!! 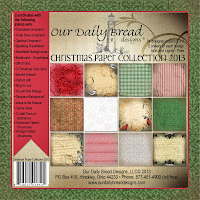 These papers from the Christmas Paper Collection 2013 are gorgeous and coordinate with so many of the ODBD stamp sets! Creative Nugget: This is the front of the card. 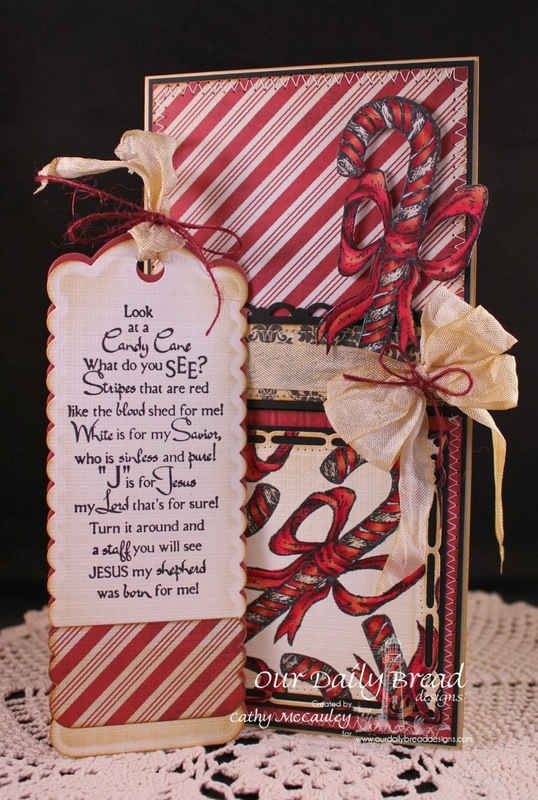 The red striped paper was created with the new candy cane sets in mind, and the green gingham was used to give a traditional Christmas look and because I just happen to LOVE gingham! These papers are so pretty and have a vintage look to them which gave my card a vintage flair. The label was made with the Elegant Oval Die, the designer paper, and the greeting is from the Christmas Door stamp set. But where is the candy cane? The candy cane was colored twice with my favorite medium, Copic Markers. One of the images was fussy cut and popped up on the other one for dimension. The directions for this fold are on a new CD by Technique Junkies called Designer Paper Perfection, which is perfect for showing off those pretty designer papers! 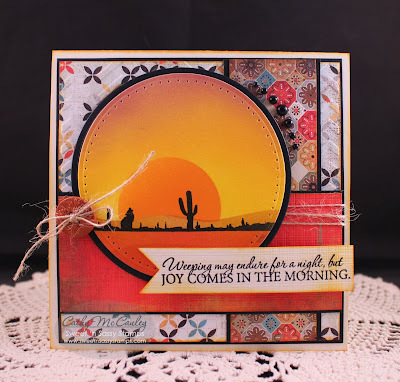 For more gorgeous inspiration using the stamp sets and dies from the October Release, please be sure to visit the ODBD Blog. The blog list of talented designers is also below for your convenience. Thanks so much for stopping by today. Don't forget to leave a little love behind as you visit the sweet ladies above! Have a wonderful day! Hello sweet friends! What a deluge we've been experiencing here...rain, rain, rain! Hopefully it will taper off a bit, because today and tomorrow is the Heirloom Paper Crafts Festival in York, PA. Both Sweet 'n Sassy Stamps and Our Daily Bread Designs will be there, so if you're in the area, stop in and say hello! Saturday also means it's time for a new sketch at The Sweet Stop, and this week's sketch is very versatile...hope you can play along with us! I focused on Christmas again this week. Creative Nugget: Simple Stories papers were used to make the panels for the card front, stitching them to Cherry Cobbler card stock and then to a Kraft card base. Love these papers as they add a bit of country charm to the card. 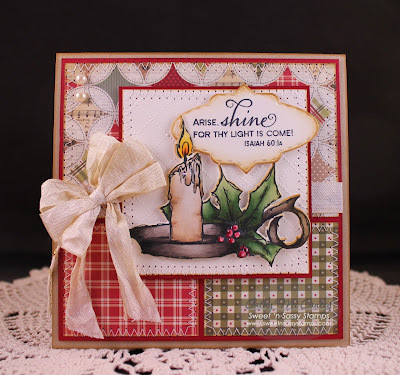 The Christmas candle is from the Christmas Light stamp set by Sweet 'n Sassy Stamps and was die cut with the Christmas Light Candle Die, stamped, and colored with Copic Markers. 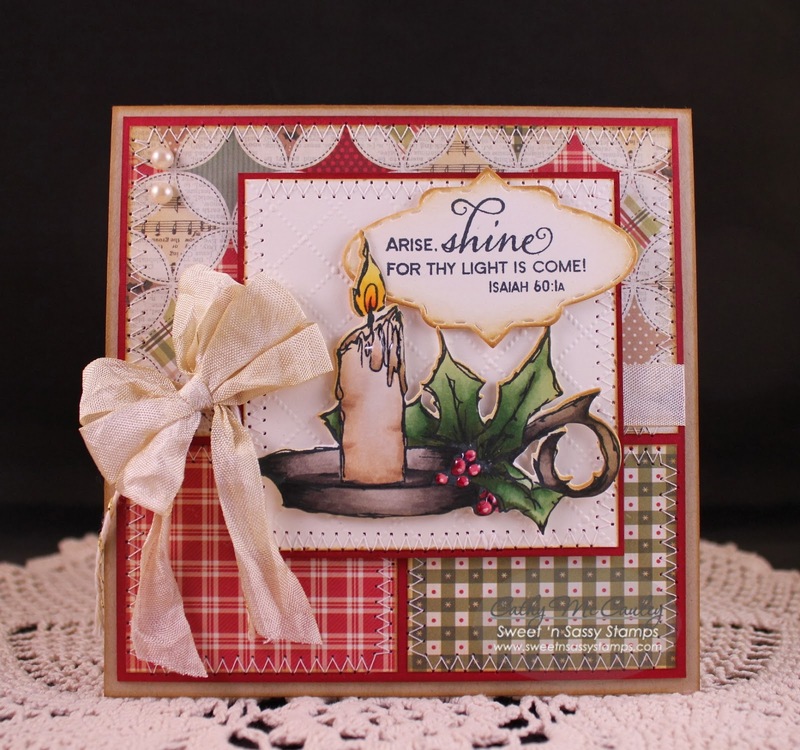 This was popped up on a Vintage Cream panel embossed with a new Darice embossing folder. The sentiment from the Christmas Light set was stamped on a label which is part of the Bookmarks & More Die set. Everything was sponged with Brushed Corduroy Distress ink for added warmth, and some Glossy Accents was added to the holly berries and the wax drips on the candle. A few pearls, Glossy Accents, and seam binding finish the card. The other Sugar Babies have some awesome samples to jump start your creativity! Thanks so much for stopping by...hope to see you at The Sweet Stop! Hello friends! I am so excited to be posting a special birthday wish for Kelley, owner of Our Daily Bread Designs! Kelley is always so faithful to wish everyone on her team a happy Birthday...now the Breadsticks have decided to honor her with a special Birthday Blog Hop! We hope you'll join us in wishing Kelley a Happy Birthday! Hope your day is full of sweet blessings, Kelley, and may you enjoy health, happiness, and many more years to bring glory to our Lord through Our Daily Bread Designs! Here is a card just for you! Creative Nugget: This card is my first attempt at using Gelatos...and needless to say, I still have a lot to learn about this medium! 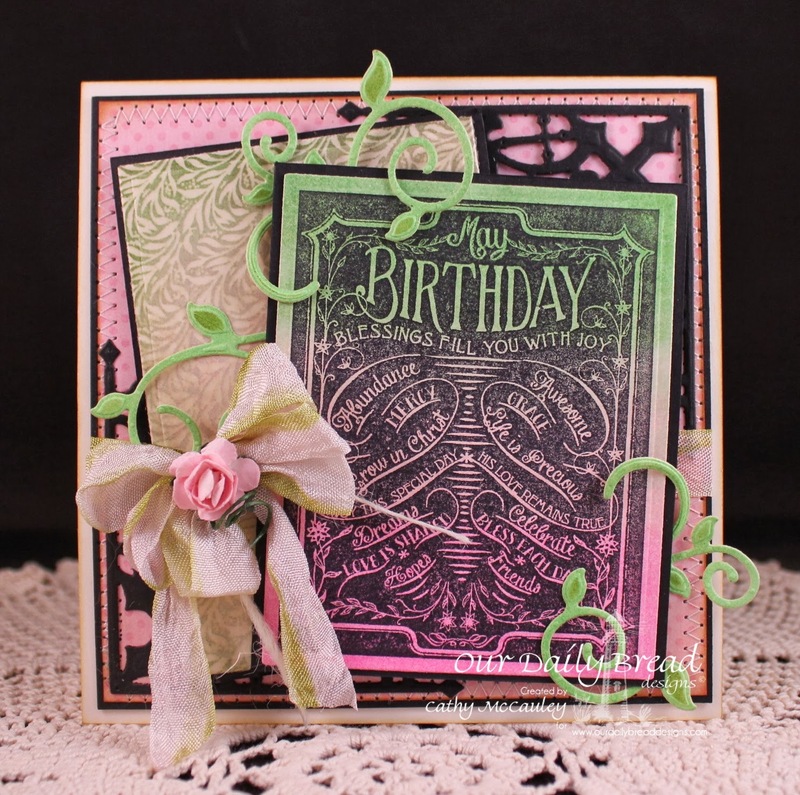 The Vine Background stamp was clear embossed on Vintage Cream card stock. Gelatos were colored over the embossing and blended down into the areas that were not embossed. A baby wipe was used to wipe off the extra color from the embossing. The same colored Gelatos were used to color another piece of card stock. These colors were also blended with my finger, and the Birthday Chalkboard was stamped over the colors with Jet Black Archival Ink. 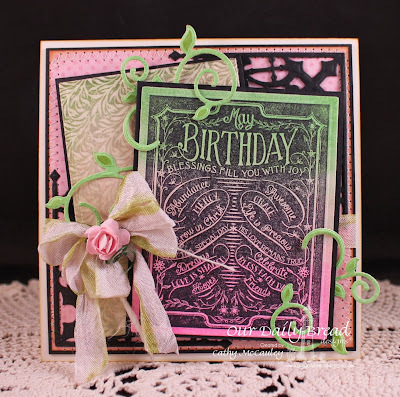 Decorative Corner Dies, Fancy Foliage Dies, dyed seam binding, and a mulberry rose finish the card. To continue on your way, just click on the link list below! Be sure to leave a comment on each blog along the way, and leave a special birthday wish for Kelley on the ODBD Blog! Thanks so much for joining us! Hello sweet friends! This month, in lieu of a release, the design team at Sweet 'n Sassy Stamps has chosen their favorite Sweet 'n Sassy Stamp Set to feature. 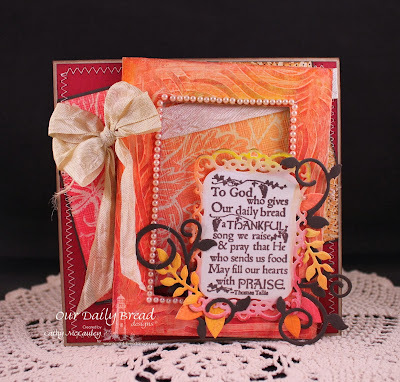 Each day from October 5th through the 9th, different sets will be featured on the Sweet 'n Sassy Stamps Blog. Not only will you be able to see fabulous samples made with these all-time favorite sets, but you will be able to purchase them at 20% off the regular price for this week only as long as supplies last. Click HERE to see the DT Favorites Sale! Today is Day 2 of the Favorites Features and we will be showcasing my favorite, Landscape Silhouettes, as well as Nature Silhouettes 2. Creative Nugget: Both scenes were created by masking and sponging the background with Memento Inks. The silhouette images were stamped using Versafine Onyx Black ink. Basic Grey papers were used to make the first card, and The Vintage Postcard set was used to create a background and sentiment for the second card. 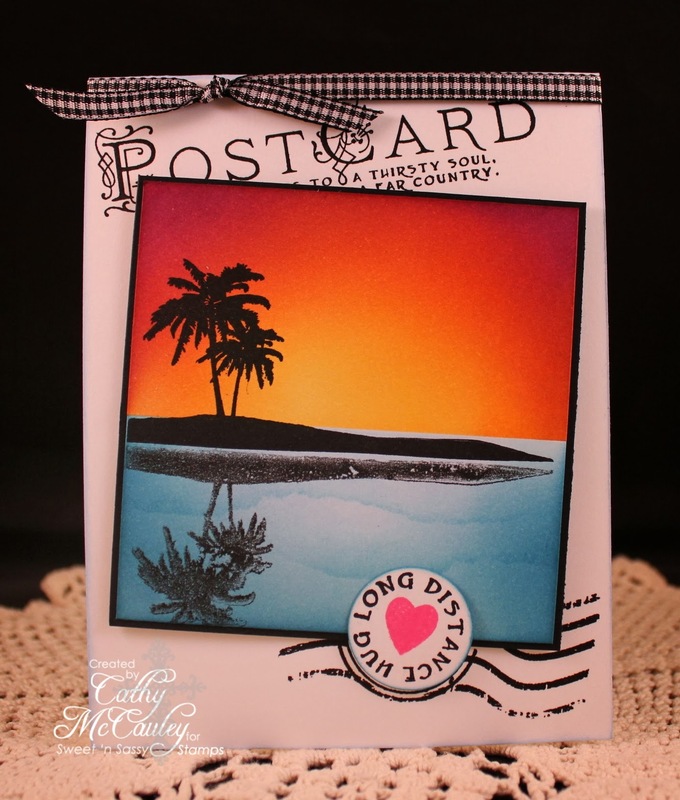 For more samples using Landscape Silhouettes and Nature Silhouettes 2, hop on over to the SNSS Blog. 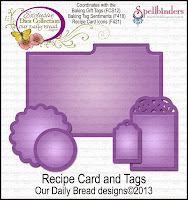 Don't forget to leave a comment on the blogs of the DT showing samples today for a chance to win a $10 store credit. To make it easy to view their blogs, I've included their links below. Sweet 'n Sassy Stamps is also beginning a new CASH Rewards Program beginning this month. For every $50 you spend, you will receive $5 in Sweet 'n Sassy Cash. See the details Here! Thanks so much for stopping by! Have a wonderful Sunday! Happy Saturday to all my blog friends! We've had a wonderful week with beautiful weather...temperatures reaching the 80's. With rain on the way, and even snow in some parts of the country, we'll enjoy it while we can. Since it's been ages since I've shared Kody pictures, I'll include some photos of one of our walks at the end of this post! But first...the new sketch for this week at The Sweet Stop. 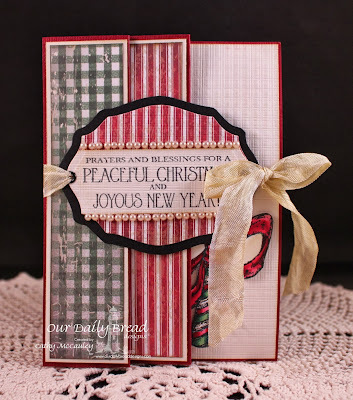 The circle element on the sketch was perfect for a wreath, so I reach for Seasonal Wreaths by Sweet 'n Sassy Stamps and decided to add another Christmas card to my stash. 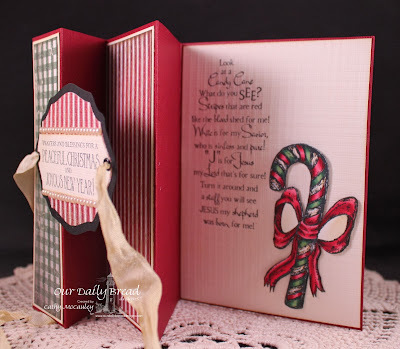 Creative Nugget: An embossed first layer was sponged and attached to a Vintage Cream card base, and the Authentique decorative papers were stitched to Cherry Cobbler card stock. 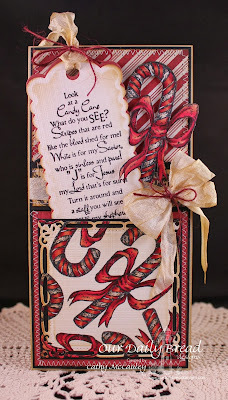 The fishtail banner is Cherry Cobbler and the sentiment, from the Christmas Tags stamp set, was stamped on a Vintage Cream fishtail banner with some lace added for texture, instead of the scalloped border. 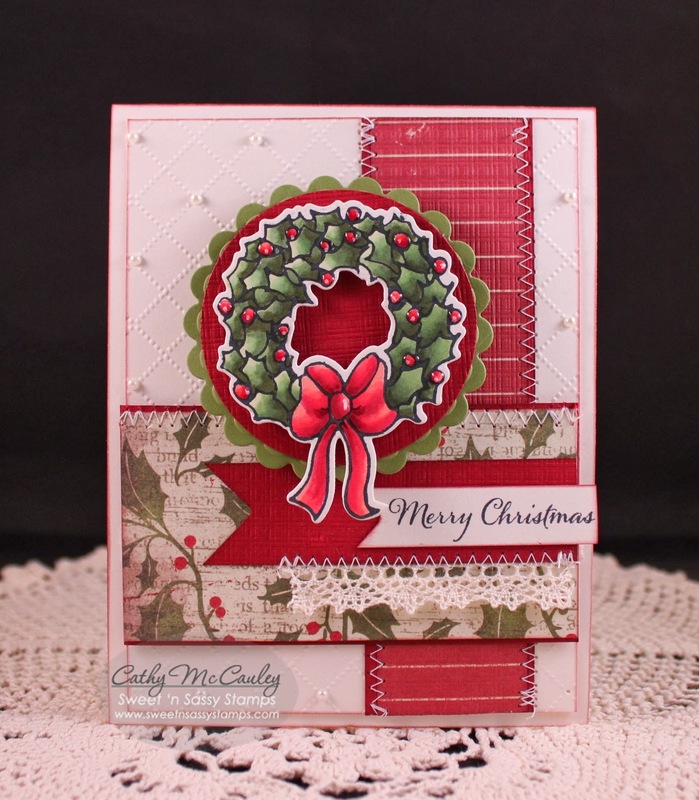 The Christmas wreath was die cut with the matching Wreath Die, stamped, and colored with Copic Markers. To make the wreath pop, it was mounted on a Cherry Cobbler Circle Nestie and an Old Olive Scalloped Nestie. The berries on the wreath were covered with Glossy Accents, and a few pearls were added to the embossed design to finish the card! 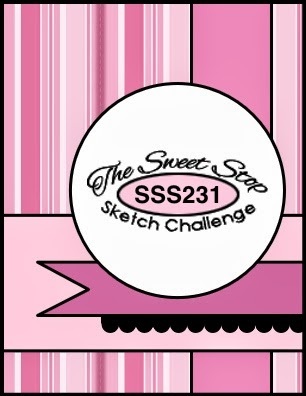 I hope you can join us at The Sweet Stop this week for this fun sketch! Check the other Sugar Babies for some fabulous samples to inspire you. The regal pose...Yea! The leaves are beginning to change! Hello friends! Crisp, cool days, crunching leaves, and thoughts of Thanksgiving and Christmas are on my mind these days. If you are thinking about these things as well, you might want to express those thoughts on a special card. 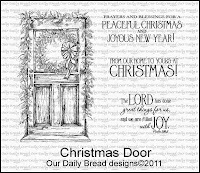 If so, the new stamp sets being released this month by Our Daily Bread Designs will help you do just that. 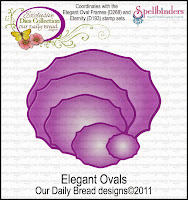 You can see all of the fabulous samples created by the talented Breadsticks with this month's new stamp sets and dies on the Our Daily Bread Designs Blog. One winner will be randomly chosen from one of the designers blog comments to receive a $50 Gift Certificate to the ODBD Store to be used toward the purchase of ODBD Stamps. You have until October 2, 2013 at 9:00 p.m. EST to make your comments! The Winner will be posted on the ODBD Blog on October 3rd, so be sure to check back there to see if you won! I have two samples to share with you today. 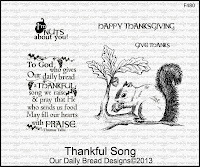 The new Leaves Background and Thankful Song stamp sets were used for the first card. Creative Nugget: A piece of More Mustard card stock was embossed with a wood grain folder and several brown tones of distress inks were swiped over the raised edges to highlight the wood grain. This panel was mounted to Early Espresso card stock and attached to a Vintage Cream card base. I tried a new technique with the leafy panel. Small pieces of green, yellow, orange, red, and gold tissue paper were crumpled up, opened, and glued to a scrap piece of card stock. Glue was painted over the whole panel and left to dry. Several fall colors of Dylusions sprays were added next and dried with a heat tool. 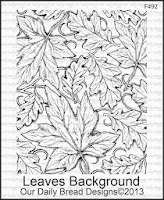 The Leaves Background was then stamped using Jet Black Archival Ink. This panel was cut with a SB Labels Twenty-Three Die and attached to the card. 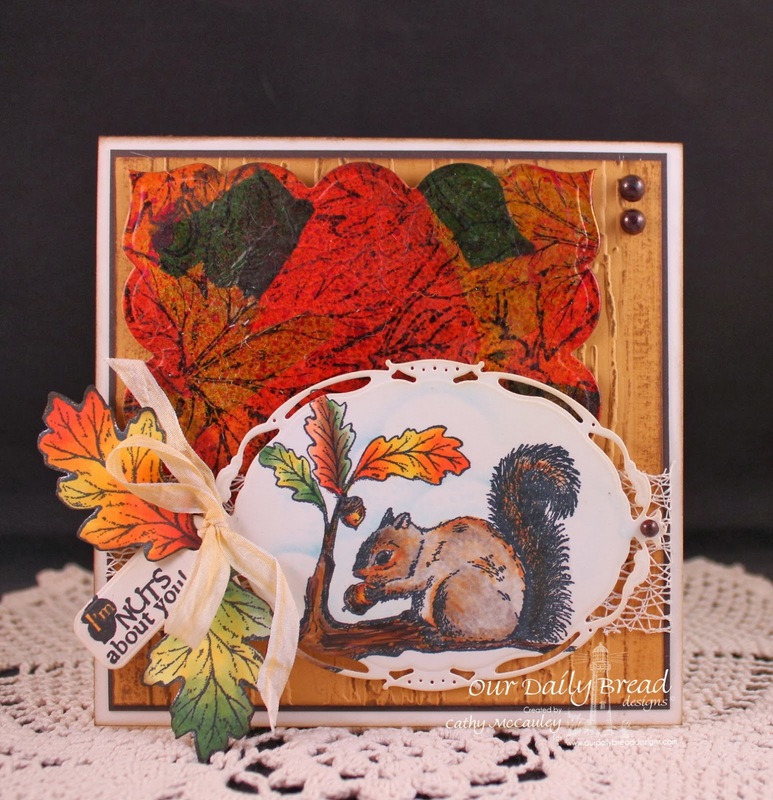 The squirrel image from the new Thankful Song stamp set was colored with Copic Markers and cut with a SB Opulent Oval Die. Several leaves from the Leaves Background stamp were cut out, colored, and attached along with the sentiment to a piece of mesh with some silk ribbon. Some colored pearls were added to finish the card. The second card measures 4" x 8" and was made with the new Candy Cane Stamp Set. 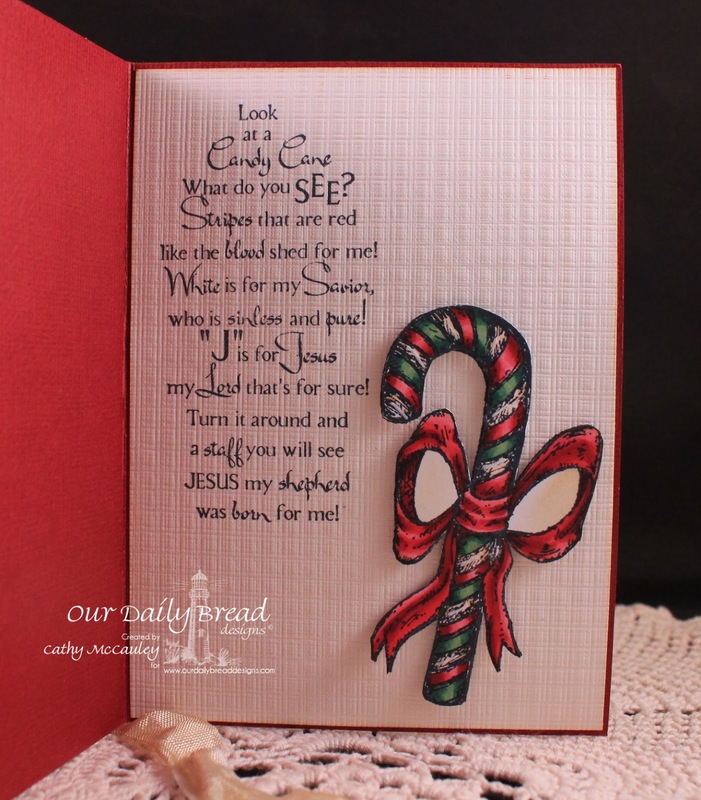 Creative Nugget: I love the verse in the new Candy Cane stamp set and decided to make it into a bookmark using the ODBD Custom Bookmark Die. The size of the card was adjusted to accommodate the size of the bookmark. Fine Linen card stock was used to create the card base. The Teresa Collins designer papers did not quite match the card stock, so all the layers of DP as well as the stamped panels were sponged with Brushed Corduroy distress ink before stitching them to the True Black mats. (***Hint: Distress inks can be used this way to change the background color of your designer papers making them more versatile!) Candy canes were randomly stamped over a Solar White panel and colored with Copics to match the DP. This panel was cut with a SB Marvelous Square Die, matted with True Black and attached only on three sides to form a pocket for the bookmark. One of the candy canes was fussy cut and popped onto the top part of the card. Some seam binding and hemp twine were added to finish the card. The second photo shows the bookmark out of the pocket. 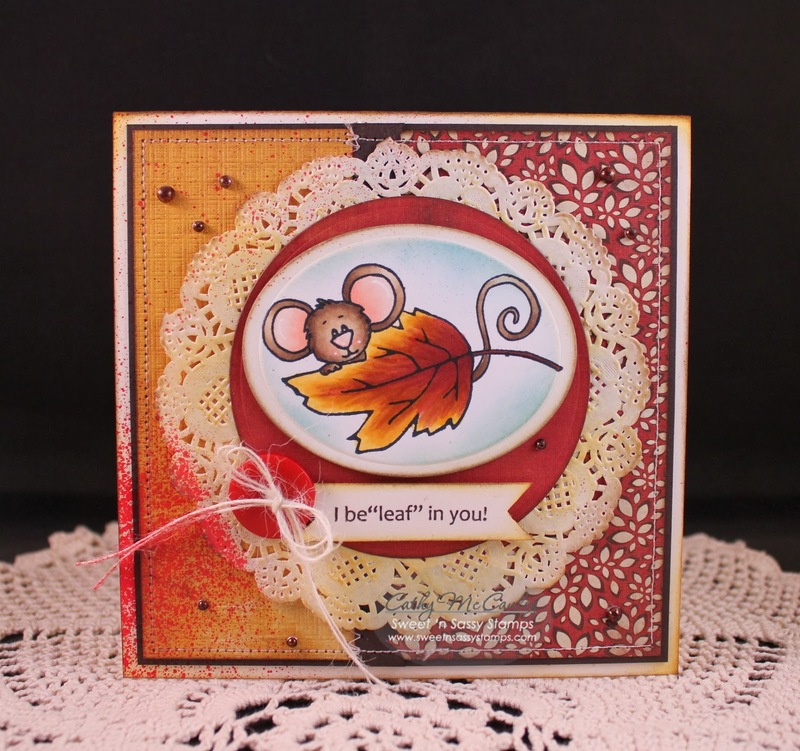 My super talented DT Sisters have created some amazing samples using the new October release stamp sets. Be sure to check them out and leave a comment to be eligible for the wonderful prize. I've included their links below to make your viewing a little easier!